Farm visitors mingle over passed hors d'oeuvres and cheeses from Sweet Rowen Farmstead and Jasper Hill Farm during cocktail hour, then sit at a long communal table for a meal courtesy of Stowe Mountain Resort chef Eric Besecker. On the menu: courses featuring brined and roasted local chickens, as well as fresh fruits and vegetables grown on-site. Craft cocktails and local brews via mobile mixologist Blackbird Bar Catering add spirit to the merriment. 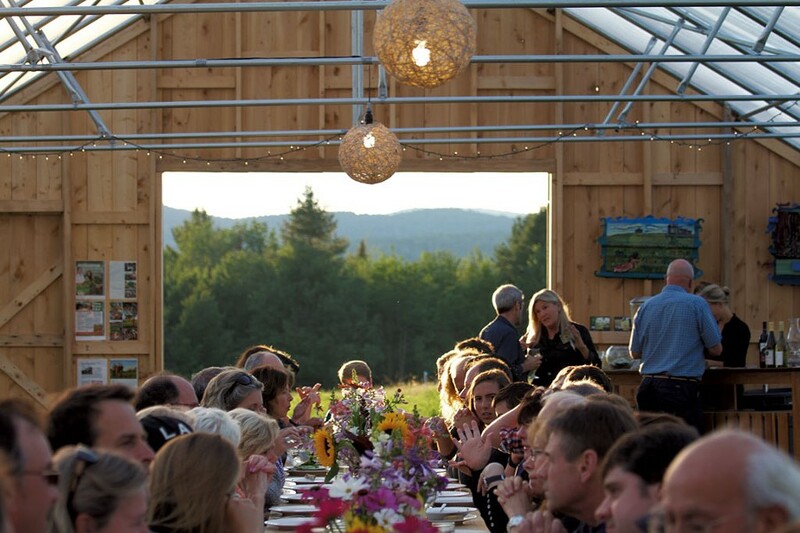 Farm-to-Fork Sunset Dinner: Saturday, July 21, 6 p.m., Sandiwood Farm, Wolcott. $85. Info, sandiwoodfarm.com. Tamales, Gorditas & More: Melissa and Luis Gomez school home cooks on a menu of pulled-pork tamales, bean-and-cheese pupusas, curtido, and tomatillo salsa. Saturday, July 21, 10:30 a.m.-1 p.m., the Hidden Kitchen at the Inn at Weathersfield. $55. Info, weathersfieldinn.com. An Evening with Hill Farmstead: Beer nerds head to the back deck for a pairing dinner matching local meats, produce and cheeses with beers from Hill Farmstead Brewery. Thursday, July 19, 6-9 p.m., Hotel Vermont, Burlington. $55. Info, 651-0080, hotelvt.com. Farm to Fork Fondo: Cyclists head out for an island cruise of 10 to 100 miles, with stops for snacks at farms along the way. Sunday, July 22, 8:30 a.m.- 6 p.m., Snow Farm Vineyard. $24.99-164.99. Info, farmtoforkfondo.com.